"Do I need a fire pit?" Is this a question that plagues you? Does it keep you awake at night? 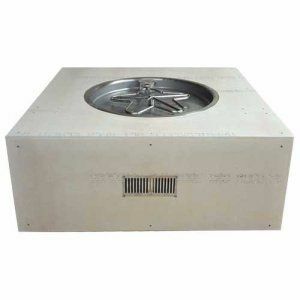 Well, this fire pit package by Hearth Products Controls is 45" of power, with 65,000 BTUs all concentrated into a solid, 25" bowl pan burner. Your outdoor area can feel cozy and complete with this ready-to-finish enclosure, as you can make it look however you want. It will fit right in, but still draw the attention it deserves. Light a match, and this fire pit will follow suit, sparking a flame inside of your heart. Does that answer your question?